Megaflo unvented hot water cylinders - Installation, servicing and repairs based in Leighton Buzzard. Unvented hot water cylinders are becoming more popular all the time; these great pieces of kit are installed as standard in most new homes. Please read my webpage for more information on unvented hot water cylinders and do not hesitate to call S.Worrall Plumbing & Heating for a free quotation to supply and install. The installation of unvented hot water systems must be carried out by properly qualified plumbers as identified in Approved Document G of the Building Regulations. The systems provide potentially high water flow rates to plumbing systems and components such as very powerful showers. They also minimize the risk of freezing by not having components such as cold water storage cisterns that are usually sited in exposed places. If you are considering installing new or changing your old existing hot water system as they are superior to an open vented system, but before you make your decision you must be aware of all the facts on how these systems work. Incoming water supply pressure and flow. This is the most important factor before any other you must find out the rate of flow and pressure from the incoming cold mains, the flow being most important of the two. Most if not all manufacturers will insist on a minimum flow rate of 20-25 litres per minute. Older properties with 15mm mains pipes coming into the properties will probably struggle to manage this but tests can be carried out to determine what flow rate you have into your property. This comes down to the fact that your incoming main supply will be the primary source of hot and cold water to all outlets, now this may not be a problem on a mixer shower supplying balanced hot and cold at mains pressure at 10 litres per minute but as you can appreciate these systems are usually installed in houses with at least 1 bathroom and a WC cloakroom or a second shower room. So each time you add more outlets you have to divide the water flow between then (only if they are in use of course), for instance 2 showers running on a 10 litres supply would only get 5 litres per minute, then someone flushes the toilet! You get my point. An unvented system is a vessel filled with cold water directly from the incoming water main. The vessel is kept under pressure from the incoming water supply and heated either by immersion heaters (direct) or by a gas boiler or solar energy (indirect). The vessel normally takes the shape of a cylinder. In an unvented mains pressure system the cylinder must also be regarded as a pressure vessel. This type of cylinder is referred to as an unvented cylinder because it is not vented to atmosphere in the same manner as a normal copper cylinder would be. The unvented cylinder will have pipe work connected to it that will carry the hot water around the property to taps and other outlets, showers and such like. As soon as an outlet is opened the pressure of the incoming cold water to the cylinder forces the contents of the hot water out and towards the open outlet and hot water is delivered at the tap or outlet at incoming mains pressure. What are the advantages of an Unvented Hot Water System? Balanced pressures at hot and cold taps and showers. Eliminates risk of contamination, as there is no storage cistern. Hot water storage vessel can be sited anywhere in the house. Very suitable for one storey dwellings, e.g. flats and bungalows. Quicker to install, no cold storage cistern, less pipework. Smaller diameter hot water supply pipes may possibly be used. Gives architects and service designer’s greater flexibility of design. Normally there would be no back up of stored water, should the main water supply be shut down for any reason, resulting in the loss of toilet flushing. The lack of adequate pressure and flow rate at the water main. The need for a somewhat higher level of maintenance compared with conventional systems (the manufacturers recommended that these cylinders are services once every 12 months). Possible noise problems due to velocity in small pipes. Just some of the manufacturers of unvented hot water cylinders we can supply and fit. Gledhill Unvented Hot Water Cylinders. Veissmann Vitocell Unvented Hot water Cylinders. 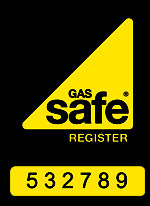 If you require a no obligations, free quotation to install, repair or service any make or model of unvented hot water storage cylinder then please contact us. We can also maintain, repair or just give good advise, were only a call away.